Three years after its first launch, confident in the success it inspired, Meccaniche Veloci is back to present the Due Valvove collection with a new look, completely renewed and original. The new Due Valvole emerges with a revolutionary spirit, maintaining strong ties with the world of motoring, the DNA of the watch brand. The watch houses two sole movements, rather than the four as seen in the Quattro Valvole collection. Each with a different diameter, the two subdials that house the movements are a reminder of the two intake and exhaust valves of engines with two valves per cylinder, as the name of the collection suggests. With its 44 mm diameter, the new Due Valvole becomes slightly smaller – but decidedly easier to handle – compared to the previous version which was 48 mm wide. This watch has a unique dial, protected by a slightly convex anti-reflection sapphire crystal. With a 44 mm wide titanium case, it is also available with a black IPB treatment. Its inside mechanism houses two independent ETA 2671 movements for the reading of two different time zones. 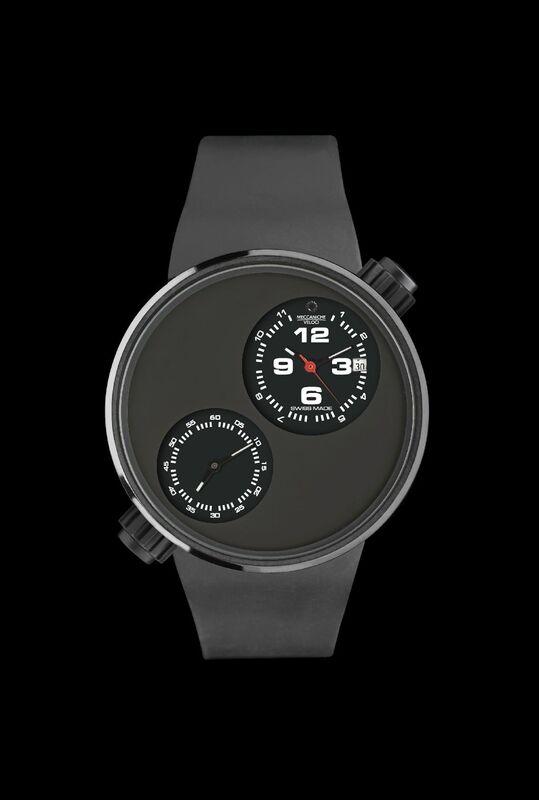 Always identified by their care for design, technological research and the art of Swiss made watch making, Meccaniche Veloci presents a combination of determination and innovation: once again, for all those who are passionate about motoring and high watch making, this watch is an original model, outside the boundaries of normality. Due Valvove is available in Classic, Luxury and Limited editions.